FE CREDIT today announced that it will receive a US$ 100 Million Loan Facility from Deutsche Bank. 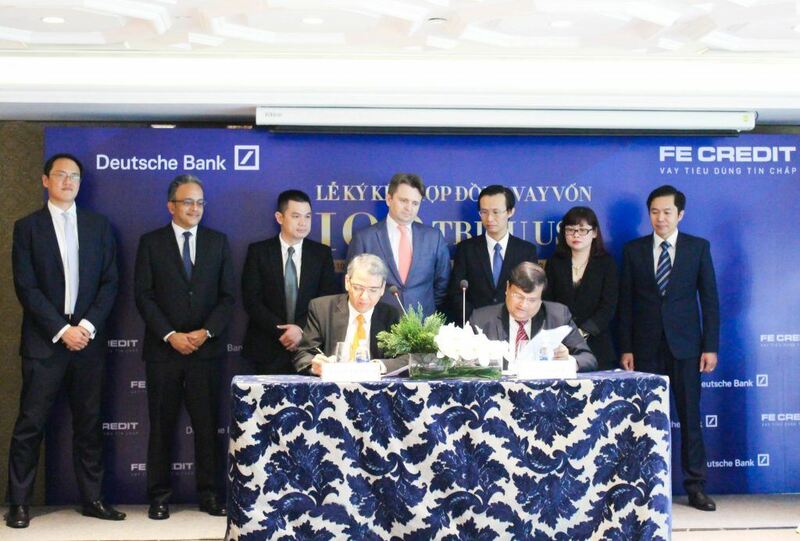 This loan will provide FE CREDIT with additional capital to continue to grow its business and remain the market leader in Vietnam’s consumer finance industry as well as the trusted financial partner for millions of Vietnamese people. 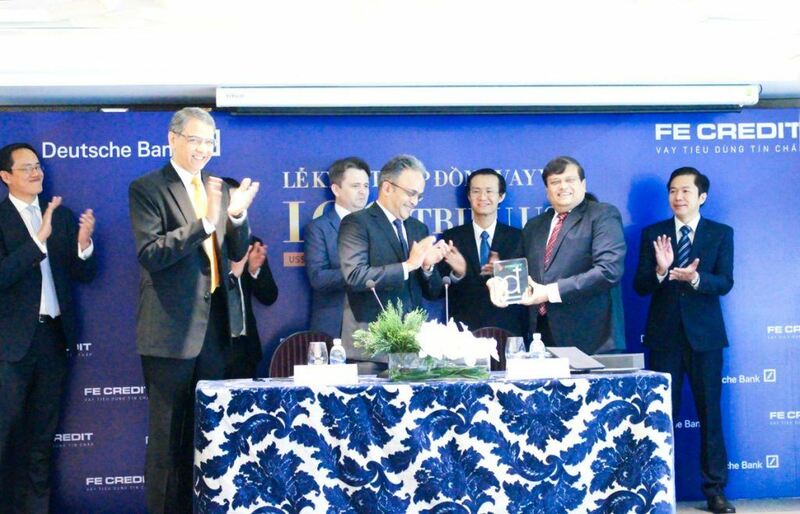 Deutsche Bank AG Singapore (“Deutsche Bank”) will act as Facility Agent for this US$ 100 Million Loan. FE CREDIT holds nearly 50% of market share in the consumer finance industry in Vietnam. Founded in Germany, the worldwide Deutsche Bank provides commercial and investment banking, retail banking, transaction banking, and asset and wealth management products and services to corporations, governments, institutional investors, small and medium-sized businesses, and private individuals. With a history in the international market since 1870, Deutsche Bank is Germany’s leading bank with a strong position in Europe and a significant presence in the Americas and Asia Pacific. Pioneering in Consumer Finance, FE CREDIT has established a solid foundation to become the market leader of the unsecured consumer loans market. FE CREDIT currently provides consumer lending services such as personal loans, two-wheeler loans, consumer durable loans and credit cards. FE CREDIT has served almost 7 million customers, co-operating with 5,500 partners across 9,000 Points of Sale (POS) nationwide. Seize the sound win-win growth opportunities with FE CREDIT. 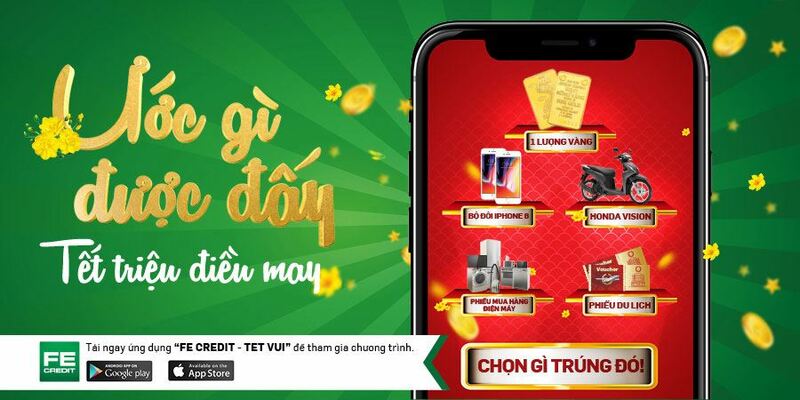 Visit our website at: www.fecredit.com.vn or call (028) 39 115 212 or email: treasury@fecredit.com.vn for further enquiries. Deutsche Bank provides commercial and investment banking, retail banking, transaction banking, and asset and wealth management products and services to corporations, governments, institutional investors, small and medium-sized businesses, and private individuals. Deutsche Bank is Germany’s leading bank, with a strong position in Europe and a significant presence in the Americas and Asia Pacific. Ground floor, 144 Cong Hoa St., Ward 12, Tan Binh district, HCM city.